While ball games have long been associated with hot dogs and beer, NYY Steak is about to dispel this American stereotype. 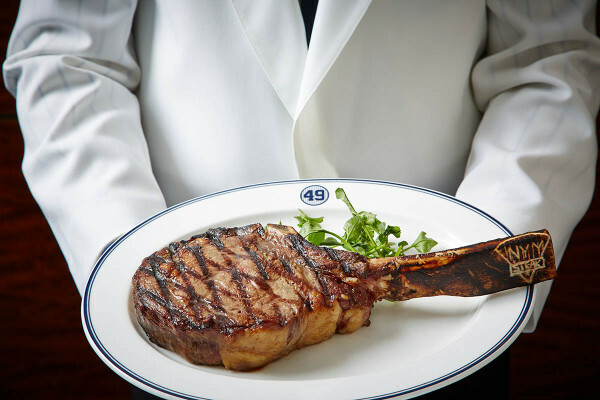 As steakhouses are about as American as its favorite pastime- baseball, NYY Steak epitomizes the best of New York City that embodies the spirit of its greatest sports team- the NY Yankees. 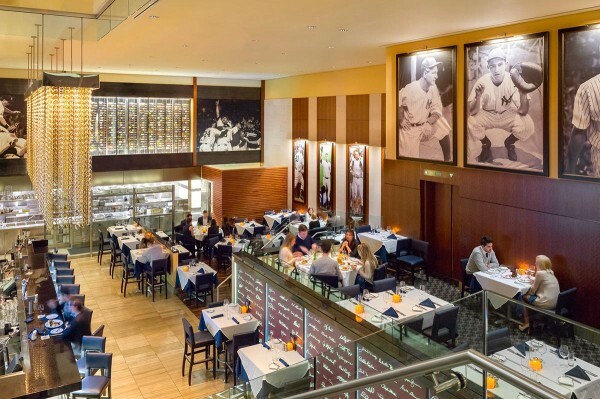 Naturally a legendary team would be housed in a grand space that NYY Steak spans over 3 floors in the middle of the iconic Rockefeller Center. 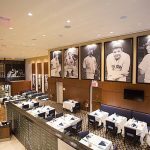 Walls are adorned with memorabilia that captures the greatest moments in baseball history with larger than life photos of baseball legends, politicians, royalty and celebrities that graced the owner’s luxury boxes, as well as games that led to world championships which forever changed the course of baseball history. 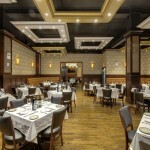 The menu features steak house favorites along with contemporary takes on classics. 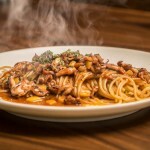 Start the meal with a selection from their colossal raw bar followed by decadent specialties like the thick cut maple glazed slab bacon, Maryland blue crab cake with a chipotle mayo, fried oysters, or lighter dishes like ahi tuna tartar lightly dressed with a Mandarin sesame dressing, pan seared scallops, or Ozzie’s sweet and savory spinach salad. 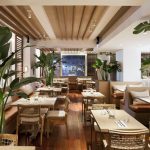 While steak is what NYY Steak is known for there are some seafood delicacies for piscavores such as whole lobster, King crab, sesame crusted ahi tuna and grilled salmon. For carnivores there is an extensive selection of choice cuts as well as locally sourced Hudson Valley specialties. 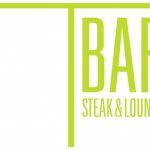 Choose from the tender Berkshire double cut pork chops, savory braised short rib ragu, aged lamb chops, filet mignon, Porterhouse, or the specialty of the house a generous 27 oz. long bone ribeye. Rich sauces such as Béarnaise, Au Poivre and Oscar enhance these grilled masterpieces. 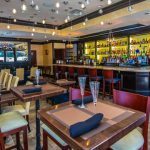 Dine with a group to partake in a variety of hearty sides like the lobster mac ‘n cheese, garlic mashed potatoes, or the foot high stack of onion rings. Leave plenty of room for desserts that are as decadent as they are sinfully divine. 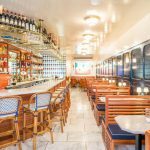 Try the signature NYY Steak 151 Volcano- a huge mountain of vanilla bean ice cream topped with heath bar crunch and caramelized and flambéed with a shot of 151 rum, crème brulee with the added crunch of chocolate coated pretzles, or a classic NY Cheesecake with an Oreo crust and macerated berries. 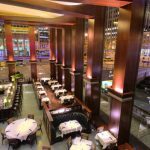 Loyal fans can now live the lifestyle of New York City’s most renowned sports figures, and who knows you may run into one here at NYY Steak.